WORLDWIDE: Recent project updates from the Block Island project under construction in the US, the world's largest operational offshore project, London Array, and E.on's Rampion project off the UK's south coast. Noise levels: Jasco Applied Sciences, under subcontract to Tetra Tech, is providing underwater acoustic measurement and monitoring services to Deepwater Wind during Block Island's construction phase. 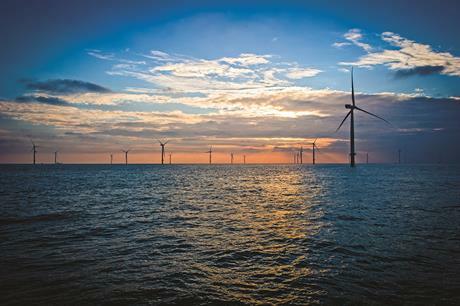 Decision stands: Navitus Bay Development Limited, the joint venture between Eneco and EDF Energy, will not challenge the UK Government's decision to refuse consent for Navitus Bay. The 970MW project was planned for a site in the English Channel. Contract extension: Gardline Environmental has been awarded contract extensions at London Array. The Marian Array, Ellida Array, Smeaton Array and Gardian 7 vessels will continue to undertake crew transfers, supporting operations and maintenance at the 630MW wind farm through the winter and into 2016. Horizontal drilling: VolkerInfra has been contracted to undertake onshore works for the Rampion project. It will carry out horizontal directional drills under major roads, a railway crossing and the River Adur in Sussex, southern England. Work will commence in Q4 this year and is due to be completed by Q2 2016. The 400MW Rampion project is being developed 13km offshore in the English Channel, by E.on. Completion date: Principle Power and Deepwater Wind are hoping to bring the 24MW WindFloat Pacific project online in 2018. The demonstration project is planned for a site 25km off Coos Bay, Oregon, northwest US. It has twice been awarded US Department of Energy funding in December 2012 and May 2014 and is set to feature four Siemens 6MW turbines. It was initially planned to bring a five-turbine, 30MW project online in 2017. In September, the governor of Oregon appointed a task force to promote the WindFloat Pacific project.